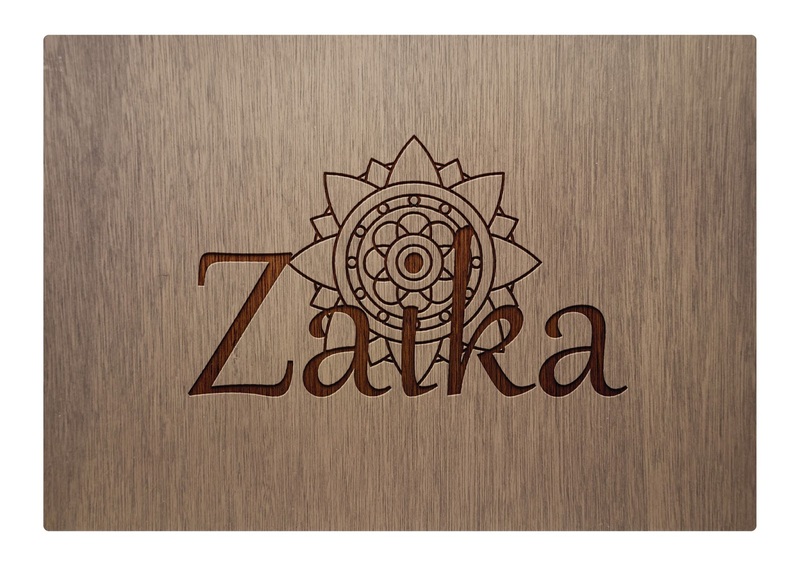 "Zaika" is regarded as the sense of taste. 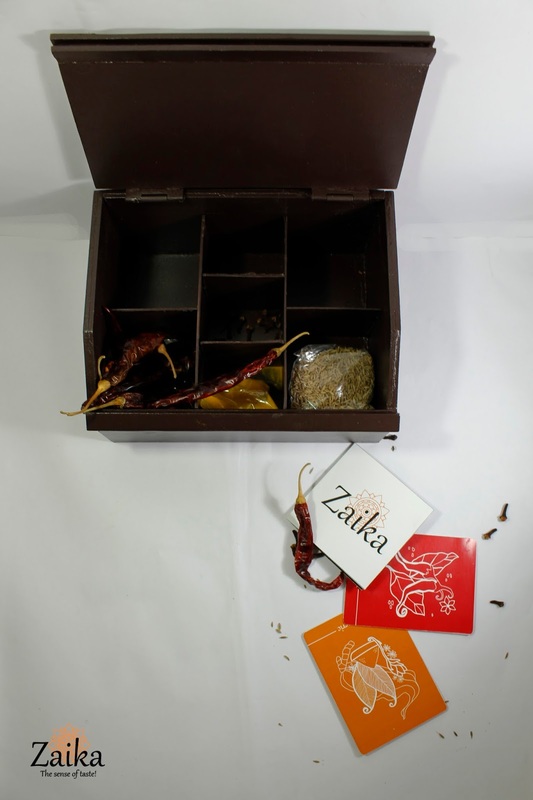 Here, it is a concept based spice and condiment (masala) box. 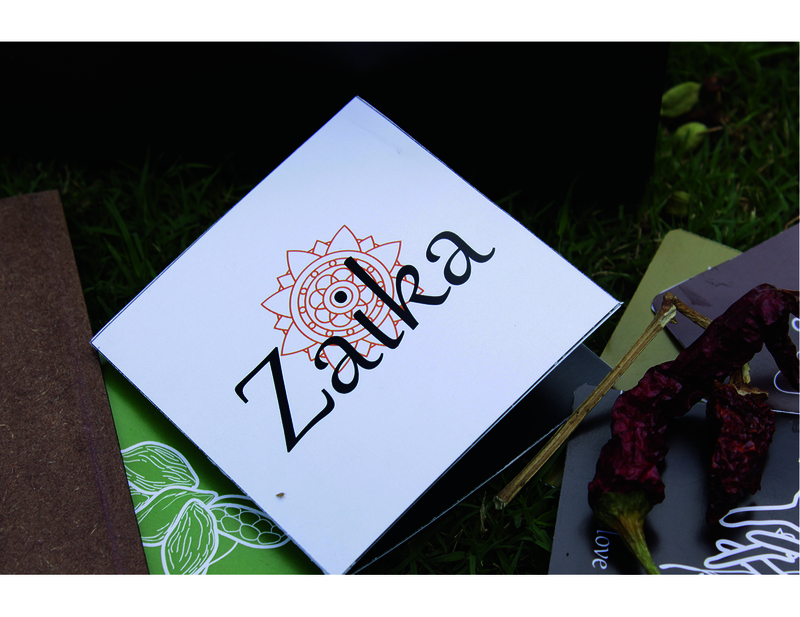 Zaika is an Indian spice box which aims towards the art of cooking and mothers tastes in the country. 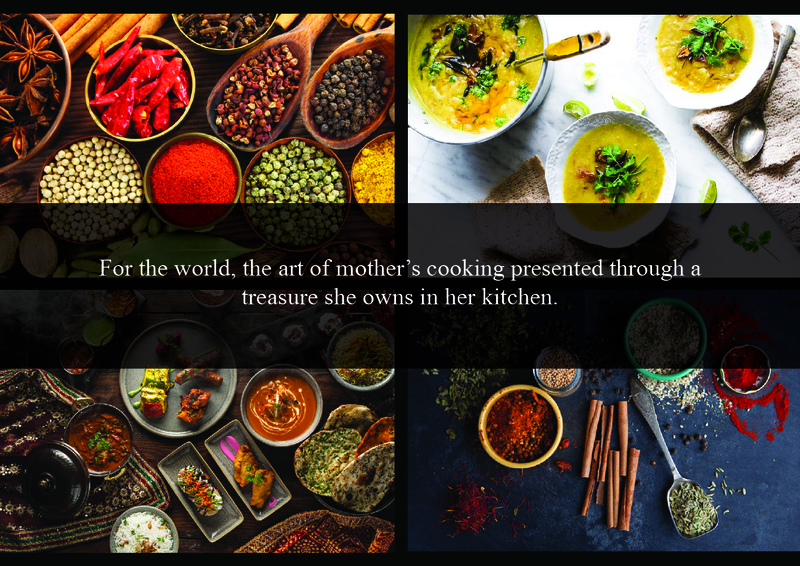 It derives its inspiration from the form of the treasure chest referring to spices being regarded as treasures of Indian mothers in their delicacies prepared everyday. 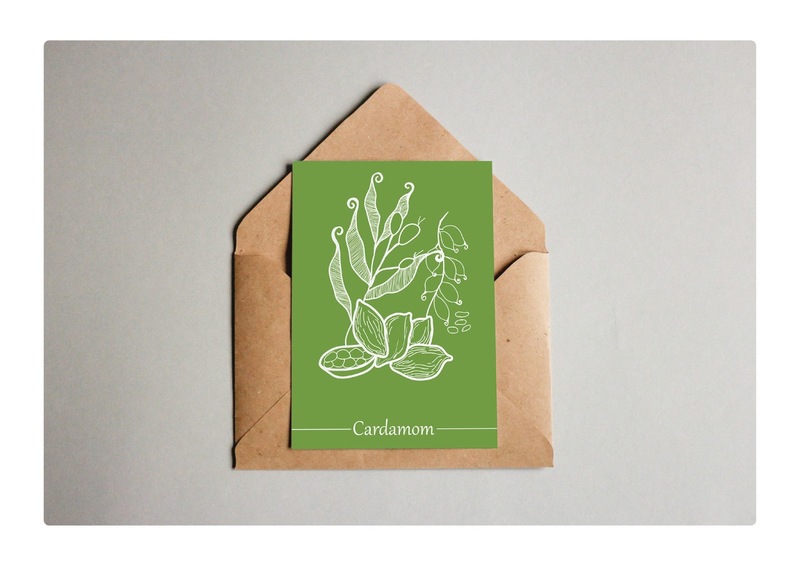 The box comes along with seven illustrated cards each representing a spice or a condiment. 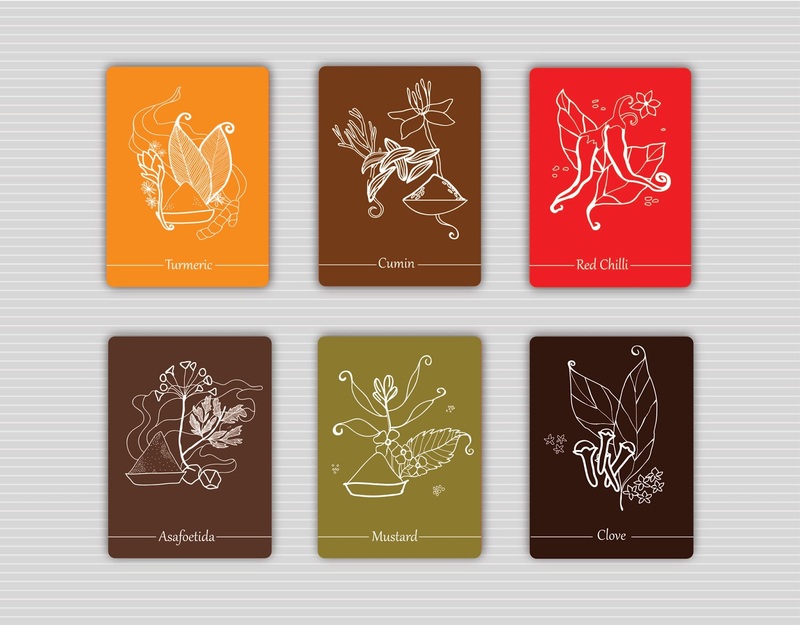 The illustrations stand for origin of the spice along with information on the back referring to its use and flavor. 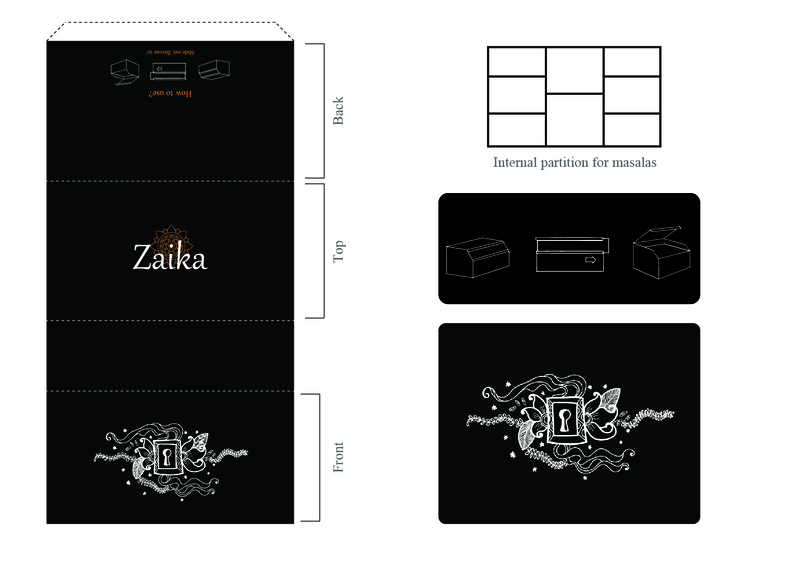 The dark brown color of the box represents royalty in combinations with the black, white and orange used for the graphics. 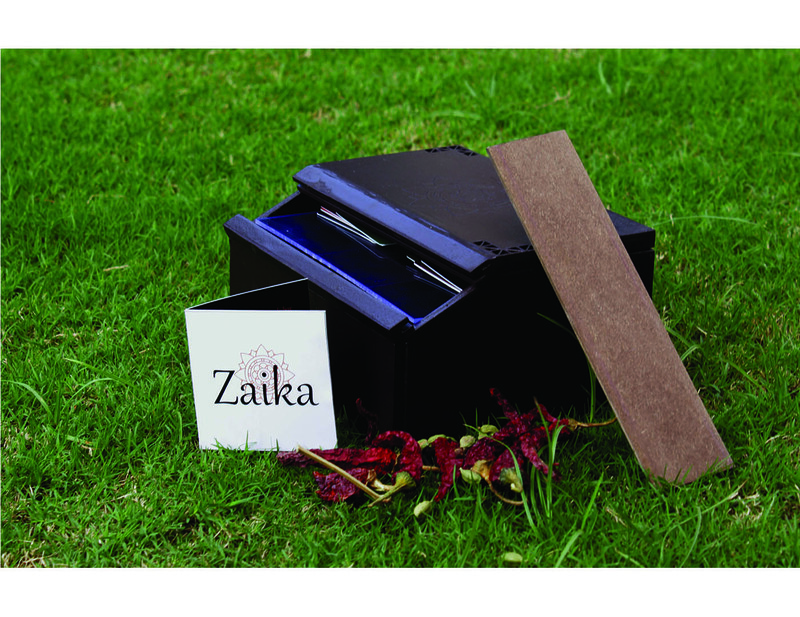 The royal yet subtle colors and textures also add meaning for the box to be a give away as a memory. 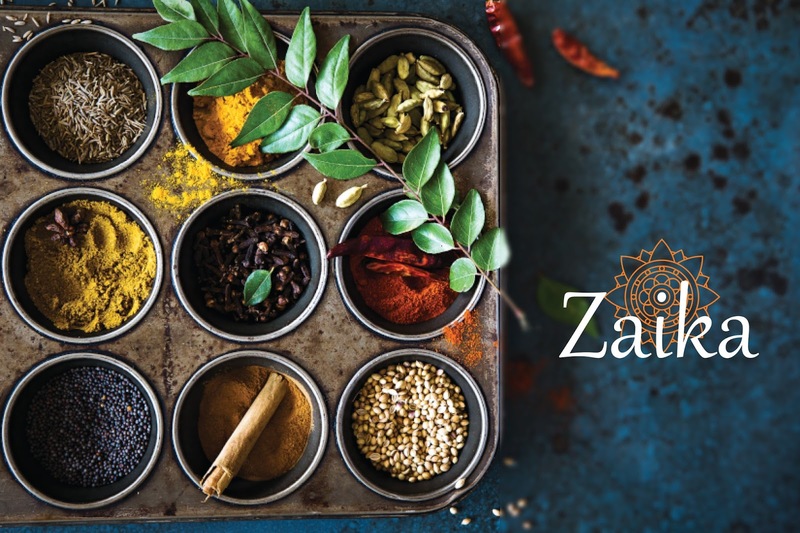 Zaika, the brand talks about the rich and the flavorful spices of India. 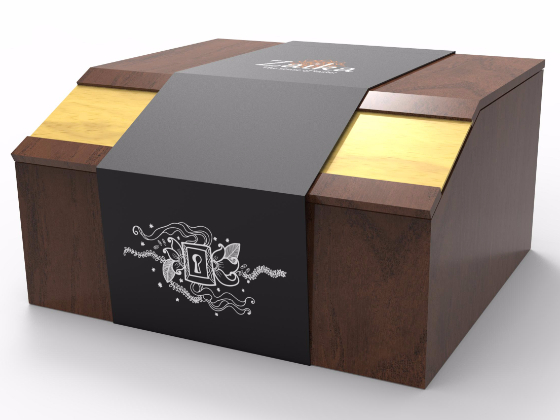 The form derived from the treasure chests features a sliding wooden plate which acts like a lock for the packaging. This adds value and richness to the hypothetical brand. The compartments inside are divided in ways for appropriate quantity of spices to be stored.